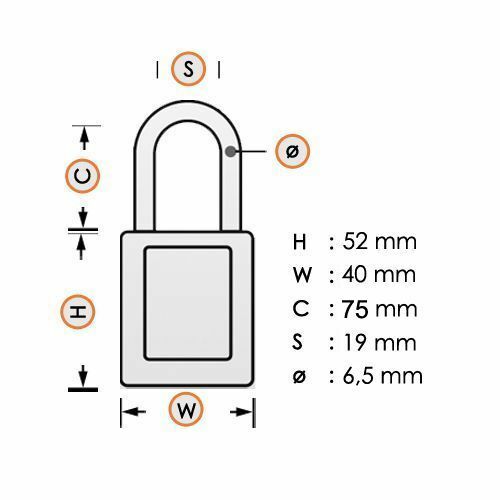 Aluminum safety padlock with white composite cover, insulated steel shackle (ø 6,5mm, H 75mm) and key retaining function. 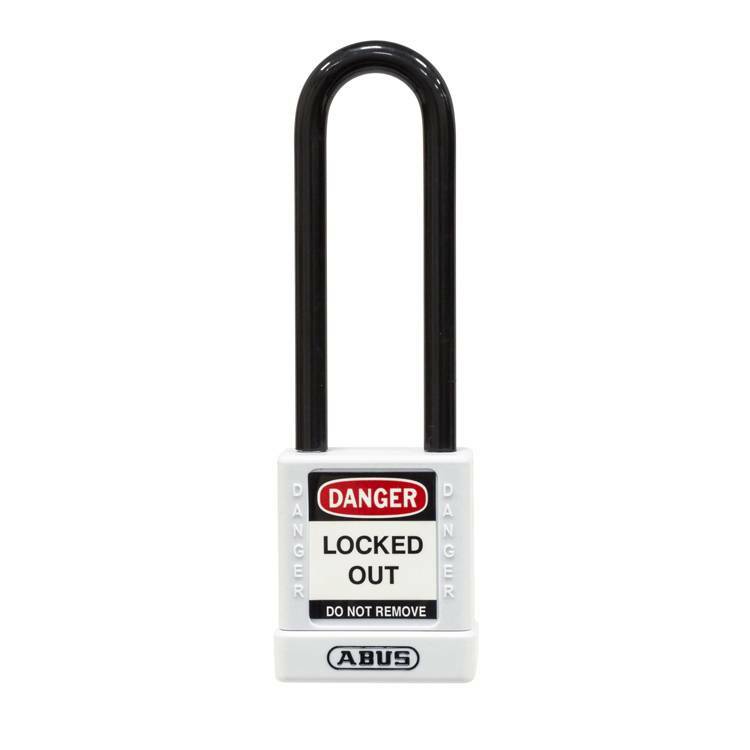 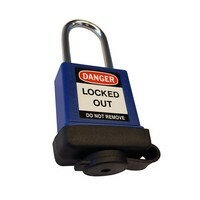 Leight-weight (103g) aluminium safety padlock with white composite cover and (6.5mm) nylon encased steel shackle. NANO-PROTECT coated shackle for superior corrosion resistance. 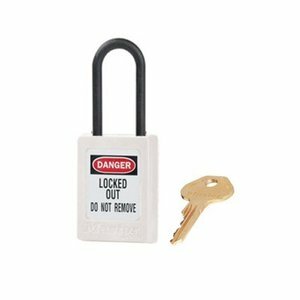 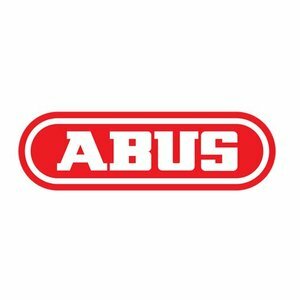 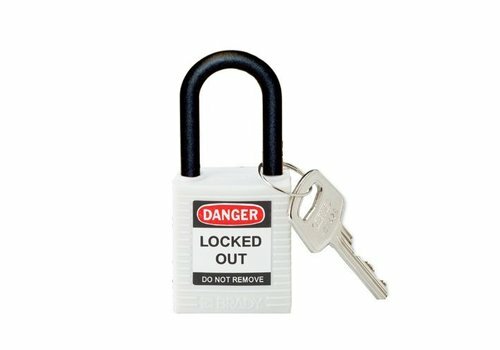 Engineered for use in electrical lockout-tagout (LOTO) applications. 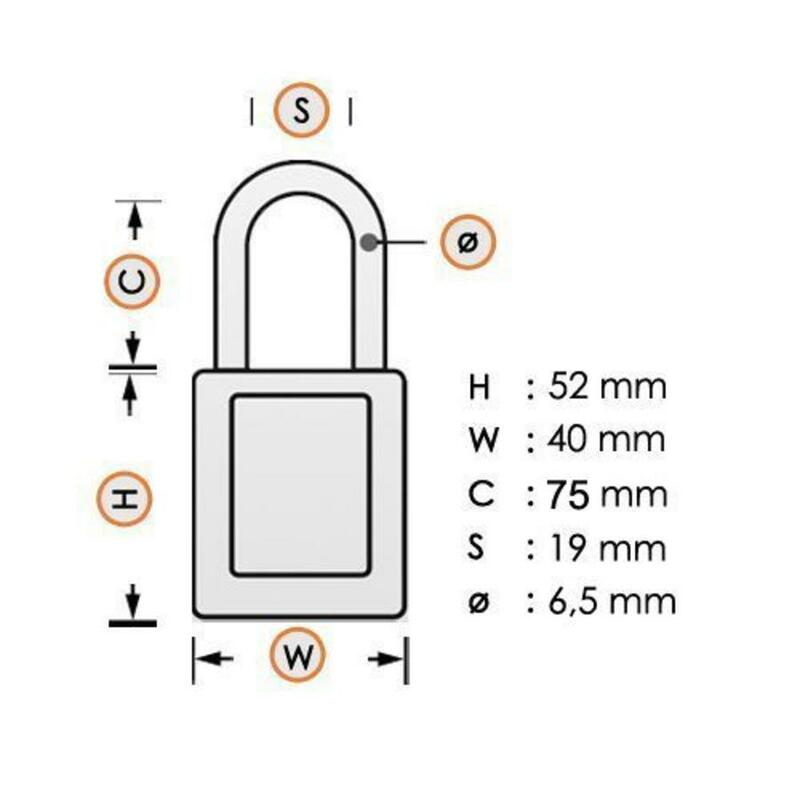 Insulated body, resistant against heat, dust and debris. 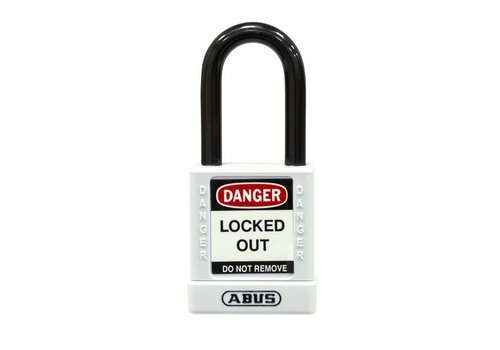 Laser engraving optional (front, back, left and right side). 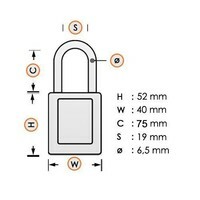 Aluminum safety padlock with white composite cover, insulated steel shackle (ø 6,5mm, H 38mm) and key retaining function. 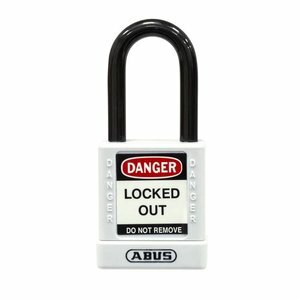 Zenex composite safety padlock white with a (4.76mm) nylon shackle and non key retaining function. 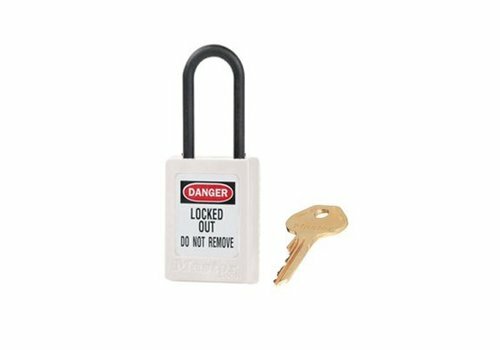 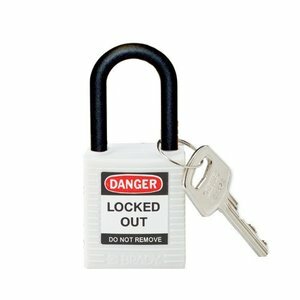 Nylon safety padlock white with a (6.50mm) nylon shackle and key retaining function.